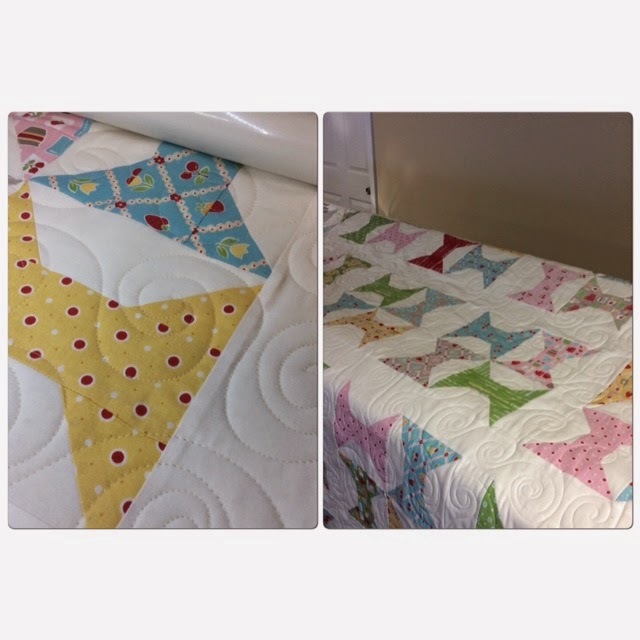 Seashore Quilting: Spool Quilt is Quilted! I loaded up the spool quilt this morning and quilted away. This is only my fifth quilt on my Avante so I certainly need more practice, but I am feeling more comfortable. I may even try pantographs!